Special Containment Procedures: A buffer area of one kilometer is to be maintained around SCP-468-2. Individuals found inside upon initial Foundation acquisition may only exit with the permission of the overseeing Level 4 researcher. All Foundation personnel entering for purposes of observation must exit two hours after entrance. SCP-468-1 is not to be moved from SCP-468-2. It is to be contained within a standard locked containment unit. One video camera inside the unit is to monitor SCP-468-1's movement. The unlocking combination is held by the overseeing Level 4 researcher. 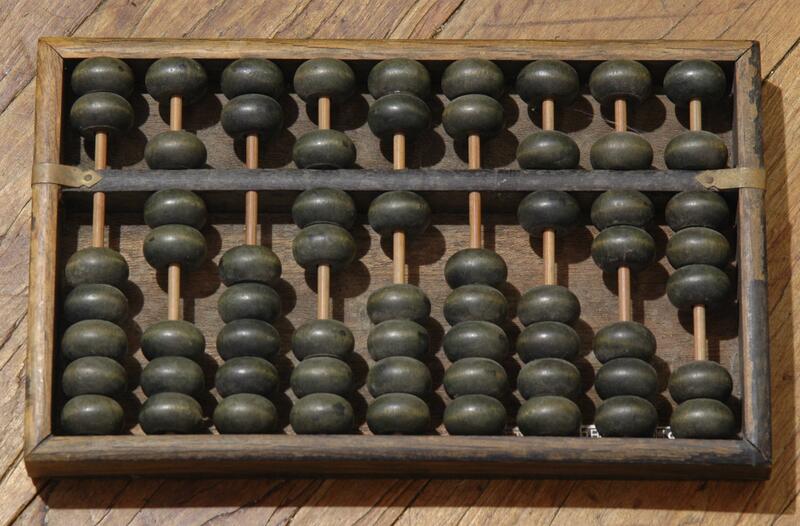 Description: SCP-468-1 is an abacus with dimensions of 20 by 7 centimeters, in near-perfect condition, with no missing beads or signs of disrepair. Its beads, despite the lack of any obvious motor or driving system, will move autonomously. Periods of movement are interspersed by periods of rest, which usually last three to five hours. SCP-468-1’s beads will often perform basic arithmetic operations, though this is not always the case. SCP-468-2 is the former farming village of [REDACTED], located in the Chinese province of Jiangsu, with an area of about 2.3 square kilometers. It is presumed that the previous owner of SCP-468-1 lived within this village. Research Site-133, which houses all personnel assigned to SCP-468, is located 3 kilometers from SCP-468-2. Foundation investigations have [DATA EXPUNGED]. Roads, houses, and other sufficiently large man-made structures inside SCP-468-2 will shift their positions as SCP-468-1 itself moves. Movement invariably results in the formation of geometric patterns. Usually, roads lined with houses will move to form rows and columns. Other patterns that have been observed include basic circular and triangular patterns. Researchers have recorded a relation between arithmetical operations done by SCP-468-1 and the movement of SCP-468-2. For example, SCP-468-1 moving to multiply 10 and 32 resulted in a 10 by 32 grid pattern, with outlying houses forming a perimeter around the resultant grid. All sufficiently large animals (including horses, dogs, cats, and human beings) within SCP-468-2 are subject to its effects. During periods of SCP-468-1’s rest, affected subjects will travel between structures. Only SCP-468-2's roads will be used to travel. No two subjects will ever travel in different directions on the same road. The speed of travel is invariably 2.3 meters per second, with one pace taken every 0.6 seconds. Mathematical functions are often performed with affected subjects acting as counters. Animals susceptible to SCP-468-2's effects begin to display symptoms 2.5 hours after entry into the village. The initial symptom is the loss of all complex mental functions, such as basic coordination, language skills, and reasoning. After 3 hours inside, instinctive and reflexive actions, such as the fight or flight response, are forgotten. After 3.5 hours, brain activity reduces to an essentially comatose state, and only the knowledge of how to walk is retained. However, only a certain number of affected individuals actually take place in group movement at any given time; because of this, surplus beings will simply [DATA EXPUNGED]. If enough subjects are removed from SCP-468-2 such that the number of affected individuals inside is less than ██, all movement will cease; it can only resume once members of the same species as the removed subjects are placed inside SCP-468-2. Despite their inability to consume food or water, all subjects seem to be in perfect health. Removing SCP-468-1 from SCP-468-2 causes all activity within SCP-468-2 to cease, though affected subjects do not regain lost mental capacity. Given the research opportunity that would be lost, this is prohibited. Addendum-468A: Before it became the focus of Foundation attention, SCP-468-2 was a relatively isolated community. Beginning January 12th, 19██, residents reported roads and houses shifting several meters in sudden bursts. Local authorities assumed tectonic instability to be the cause of the moving structures, and advised all residents to evacuate. Approximately half of the population complied. By February 3rd, no more reports were filed concerning the believed tectonic instability. By March 21st, attempts to contact people living in the village were met with no response, prompting Foundation involvement. By the time nearby agents arrived, the entire remaining population had succumbed to SCP-468-2's effects. A discrepancy exists between the population of SCP-468-2 post-earthquake evacuation (188) and the current human population (66). Extensive Foundation exploration has not found a single member of the missing 122, [DATA EXPUNGED]. Addendum-468B: Patterns and calculations made by SCP-468-2 have begun increasing in complexity since observation has begun. While only basic addition and subtraction were seen when first discovered, its repertoire of mathematical operations has expanded to include multiplication and division; calculating the area of quadrilaterals, triangles, and circles; comparing proportions; and finding the square roots of two-digit numbers. On July 19th, 20██, SCP-468-2 arranged in grid patterns used for basic arithmetic. However, Foundation observers quickly realized that the right half of SCP-468-2 had only very limited activity, whereas the left side exhibited an abnormal increase in subject movement. Dr. F██████, upon investigating the matter, theorized that the computations being made were an attempt to perform matrix multiplication, with the left hand side acting as "scratch work" and the right hand side including the actual matrices. After only 39 minutes, all subject movement ceased and SCP-468-1 entered another period of movement: the shortest recorded period of rest yet. Researcher estimates place the time required for matrix multiplication to take place inside SCP-468-2 at approximately three days. Matrix multiplication was an unusual jump in the normally steady progression of mathematical complexity previously undergone. Furthermore, the subsequent arrangement of SCP-468-2 facilitated fraction multiplication, the only recorded instance of a decrease in mathematical complexity between rearrangement periods.